Influenced by the fans. Influenced by Philly. Influenced by U.
Philadelphia Union revealed their new 2019 secondary jersey. The alternate jersey features the first-ever-in-MLS customizable back tags in honor of the club’s 10th season. The jersey is a simple navy and white color scheme that showoffs a radial design that begins from the signature snake logo on the lower left hip. We see three stripes lining the sides of the jersey that now replace the color blocked navy siding for a clean design. 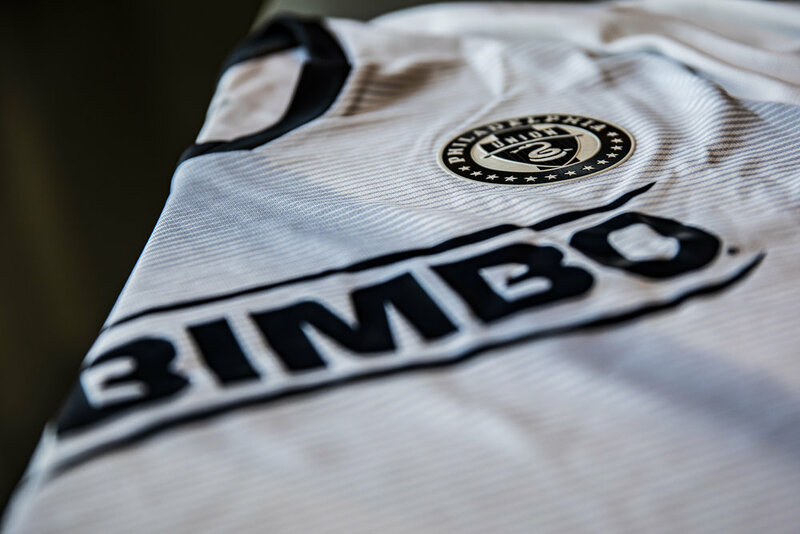 The Bimbo’s partnership with the Union remains seen across the chest of the jersey, while the logo has been changed to a monochromatic navy.